Figure 14. The ambrotype effect. 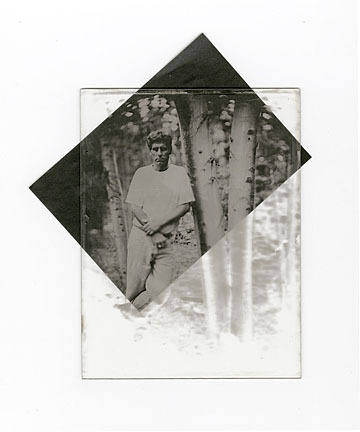 When an underexposed collodion glass negative is backed by a dark material an optical reversal in tones occurs producing a positive view of the image. Here a glass plate has been lain over a sheet of black interleaving paper and the objects reflectively scanned.